Congratulations are in order for DJ Richardson and Da’Mariyea Hamilton! For one day only, the Navarro County Health Department is hosting a Saturday Schoolers Clinic on Saturday, May 18th from 8 a.m. - 12 p.m. Walk-ins only! No appointment needed! It's that time! Softball and Baseball season is here. Grab yourself a copy of the schedule and make sure to come out to support your Bulldogs and Lady Bulldogs! 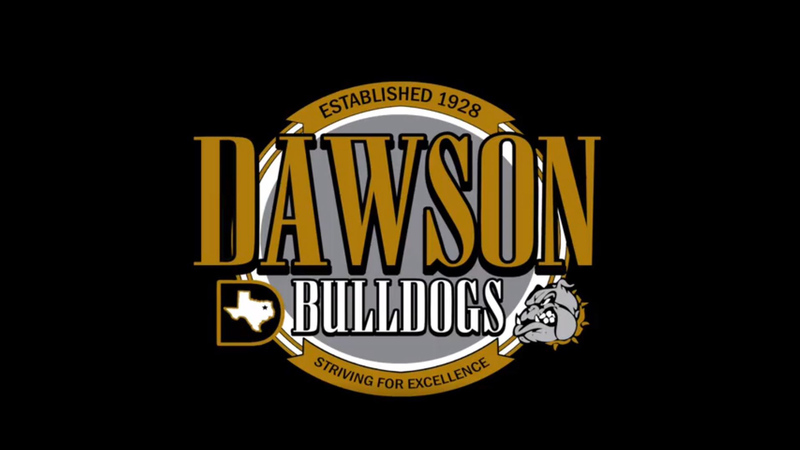 Dawson ISD taxpayers approve a bond for $5.855 million to build a new Gymnasium/Stage for Dawson Jr/Sr High School. Click here for more information. Solid primary educationDawson Elementary provides Pre-Kindergarten through 6th grade students with an quality primary education that shows in our testing scores across the board. Dawson Elementary also provides a full day Pre-Kindergarten and Early Education Program for qualifying students. Teacher experienceDawson ISD has a total of 38 teachers, with an average of 13 years of teaching experience. Also, many of our teachers are Dawson High School graduates that come back to teach the same outstanding education they received. Graduation rate100% of our Seniors have graduated in the last 4 years with over $590,000 in awarded scholarship money. Student involvement94% percent of students are involved in an extracurricular activity in 9th-12th grade. College ready studentsAround 30 High School students participate in Dual Credit college programs per year, with a third of our Seniors graduating with college credits.